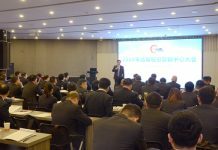 This three-day event with over 100 exhibitors participating from five different countries is expecting more than 5,000 visitors at its third edition 10 – 12th October 2019. The latest technology in glass processing solutions, tools, auxiliary products and services will be on display at the exhibition. 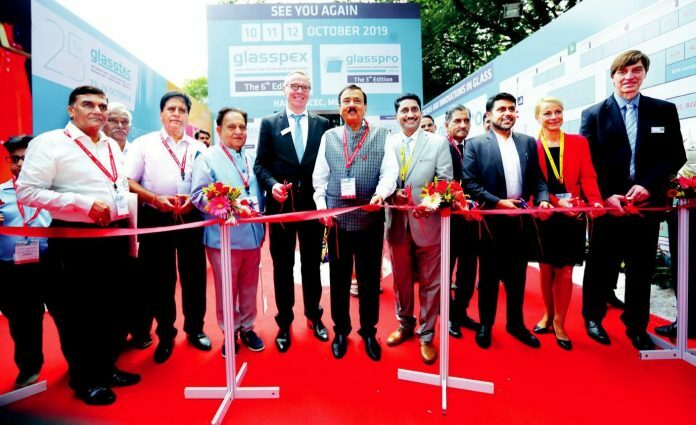 Over the years, Glasspro India has managed to create a niche for itself as a symbolic platform that nurtures meetings and relations among key players from the entire flat glass sector. The 6th edition of the biennial event, Glasspex India – International Exhibition for glass production, processing and products is also being organized concurrently with Glasspro India. Both events will be held at Bombay Convention & Exhibition Centre which is in the Western Suburbs in Northern Mumbai. This centre occupies four halls covering an area of over 45,000 square metres. It has been the venue for many prestigious international trade fairs, seminars, conferences and events. 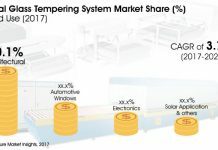 The growth in the Indian glass industry is dominated by the container glass segment, which accounts for most of the sales in terms of volume, according to a TechSci Research report. Glasspro India 2019 aims to provide an analysis of the existing and future trends related to the glass industry wherein the attendees will get an opportunity to directly meet the key Industry Influencers.